We provide you a sneak peek into the world of luxurious boutique hotel chains in Asia which have established themselves as the traveller’s paradise with their renowned service standards and larger than life experiences. Right from colonial style lodges to traditionally decorated hotels with a modern twist, this list is the one you can hardly afford to miss. Asia is home to some of the luxury hospitality and hotel industry’s most iconic names, from The Peninsula to Mandarin Oriental, Taj to Oberoi, and Shangri-La to Banyan Tree. The Hoshino Resorts group has several subbrands, but its flagship Hoshinoya has specialized in perfecting the luxury ryokan, an accommodation style designed and modelled after traditional Japanese inns. With a series of ‘estate’ resorts across Bali, Kayumanis resorts are beautifully boutique: typically featuring only 11-22 villas per ‘estate’, each offering a large footprint and complete privacy within walled garden spaces. 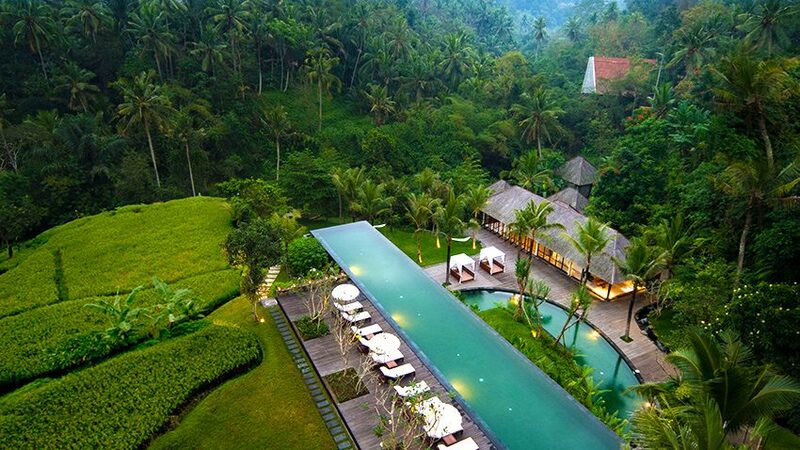 The image at the top of this page is the stunning Komenaka in Ubud Bali. This entry was posted on Monday, September 19th, 2016 at 7:40 pm and is filed under News. You can follow any responses to this entry through the RSS 2.0 feed. You can leave a response, or trackback from your own site.